Home improvement projects improve the quality of residential properties and can allow you to feel more comfortable in the space. One of the most important parts of the project is the amount of money that you plan to spend. 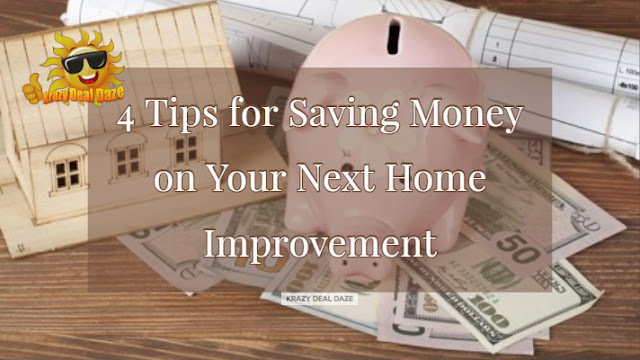 Although renovating or remodeling your home can cost a significant amount of money, there are a few ways to save on your next project. Instead of hiring the first person that you talk to on the phone, opt for getting multiple quotes from different contractors to find the best deal that works with your budget. Contractors each have different rates, which makes it necessary to call around when narrowing down your options. Avoid choosing the contractor that provides you with a cheap deal, which may mean that they'll compromise on the quality of the materials that are used. Once it's time to pay for the services, opt for using cash to avoid paying interest. Hardware stores always have items that are discounted because of products that have been returned or to make room for new items that they want to sell. Promotions are also common throughout the year, especially around holidays. 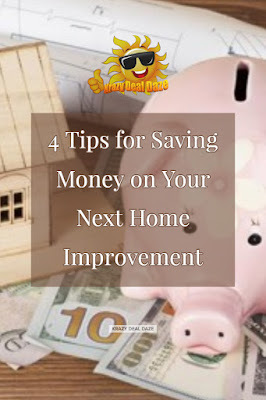 Knowing when the products will be discounted can allow you to schedule a time for when you can purchase certain materials or hardware to save more money. You can also purchase leftover materials from manufacturers to get a better deal. As more people shop online, it can become easier to find different coupons that allow you to pay less for materials that you already plan to purchase. Some retailers will provide you with a coupon if you sign up for their emails or will give you a discount if you provide your mailing address. Others have coupon codes that are available at different times of the month. Many home improvement stores also offer discounts for people who have AAA or to military members, making it necessary to ask while shopping around. Knowing the different ways that you can save money on your next home improvement project can allow you to keep your costs down and make it more affordable. You'll not only avoid stress but can feel in control of the project and have peace of mind once it's completed. Here’s another handy guide for making the most of your money while designing your home’s interior! Great tips! We always get multiple quotes before we start a new project. And we always try to do what we can ourselves. we are looking for couple of updates at home, and working on the quotes stage now.. thanks for these tips..
My first step before any home improvement is googling and watching videos on YouTube about the improvements I'd like to make. Usually I discover interesting tips and hacks there. Besides, it helps to be more precise on the "getting quotes on services" stage. I am bookmarking this article for future reference. We are looking at doing a kitchen and laundry area make over next year. I did not know that there are coupons we can get for the materials we would need. Thanks for letting me know. I will always look into great deals, coupons and more discounts before I make that purchase. That really helps to save a lot since household and home decor items can get super costly. Getting a quote for a project is important. We try to get up to 3 or 4 different quotes before we decide. For major expenses like home renovations, it is always wise to plan carefully and stick to the budget we have in mind. Great tips though the first one is the most challenging. We recently had a home improvement project and to be honest, we had a lot of unexpected costs. Anyway, thank you for sharing your handy guide. Great tips! It’s always good to shop around and look for deals.